Farming these days is more about brains than brawn. Whereas it used to focus on physical labour, a farmer these days is just as likely to be found on a comfortable tractor using satellite technology to collect data about crops and soil. This shift is in turn changing the face of farming. An increasing number of women are moving from the farm kitchen to the fields. 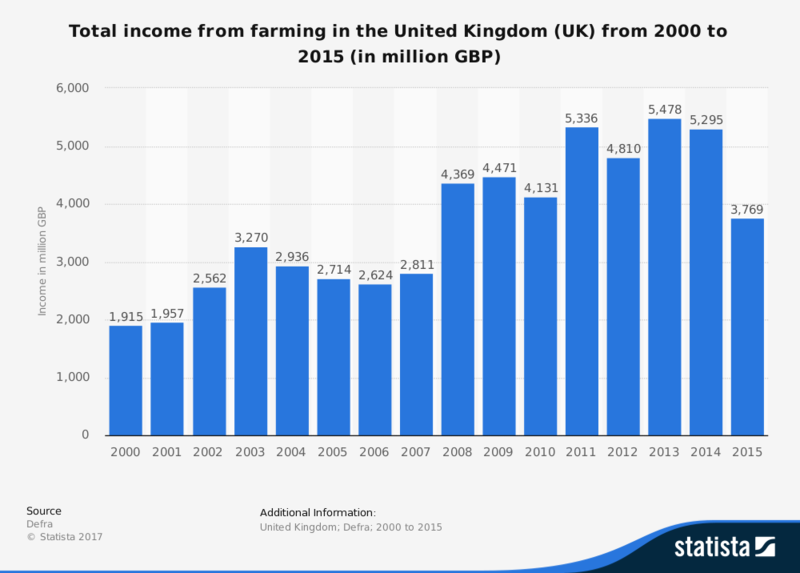 The number of women in farming in the UK has tripled from 10,000 in 2001 to 29,000 in 2014. Women‘s involvement is becoming less peripheral and more professional. They are identifying as farmers and entering the field in their own right. Women have been working behind the scenes on farms for decades as farmer’s wives or daughters with their work unpaid and overshadowed by the man’s job. The stereotype is that a farmer is a man – just think of what a farmer looks like in a children’s book – and that has held women back. In practical terms too, women have historically struggled to own land, which was, at least in the past more traditionally passed on to sons. Historic inequality in ownership and control is both a cause and consequence of farming not being seen as a suitable career for women. In the past, to be a good farmer was to be a good man. Toughness and strength were considered masculine traits and were valued in farming because of the manual labour involved in cutting crops or managing a dairy. Women were often restricted to a supporting role – providing domestic and emotional support. But, it seems that our perceptions of what it means to be a farmer are changing as the number of women running farms increases. This cultural shift could be linked to the women farmers on television which help to break down long established gender stereotypes. Take the radio series The Archers for example. Several strong-willed women characters do not fit the outdated stereotype of a farmer as an unsophisticated old man. They represent a new breed of farming stock capable and determined to get their hands dirty in running a farm. Meanwhile, in the real world, a plethora of women farmers are coming to the fore. Take Amanda Owen , otherwise known as the Yorkshire Shepherdess, she is renowned for her two bestselling books and is proud to be a farmer who juggles 1,000 sheep and nine children. Kate Humble, known for embracing the peaks and troughs of the farming year in Lambing Live, is a role model for women wanting to own a farm even if they do not come from a farming background. Women often gravitate towards the more business end of the job, such as in marketing, which offers new opportunities for leadership. Business mindedness is now central to the role of a farmer as the industry faces increasing financial pressures and fierce competition within a global market. The machinery has changed as well. In many ways, farming is less physically demanding than it used to be. Different skills are needed and farmers have to be able to embrace new technologies. Take automated milking systems, for example, and the impact it has had on commanding a herd. And of course agricultural education is changing things too. It allows women to establish themselves in the field on their own merit. The accessibility of training is breaking down barriers and inspiring young women to make their mark in a sector over-represented by men. As developing specialisms becomes a key selling point, it is a more necessary part of becoming a farmer than the old days. The changing nature of farming as a profession is helping challenge stigma about what is men’s and women’s work but the battle for equality hasn’t been won yet. Women may be empowered to enter farming but defying stereotypes will remain crucial in keeping women in farming and leadership roles. Despite all this progress, only 17% of farmers in the UK and 13% in Ireland are women .